news IBM and VMware have agreed a strategic partnership aimed to make it easier for businesses to advantage of the cloud’s speed and economic factors. VMware said in a statement that the new agreement will enable enterprise customers to “easily extend” their existing workloads from on-premises data centres to IBM’s cloud services. Customers will be able to use VMware products in conjunction with IBM’s 45 cloud data centres worldwide in order to scale internationally. VMware said this will lessen the retooling expenses, development risks and security concerns of non-cloud-based solutions. 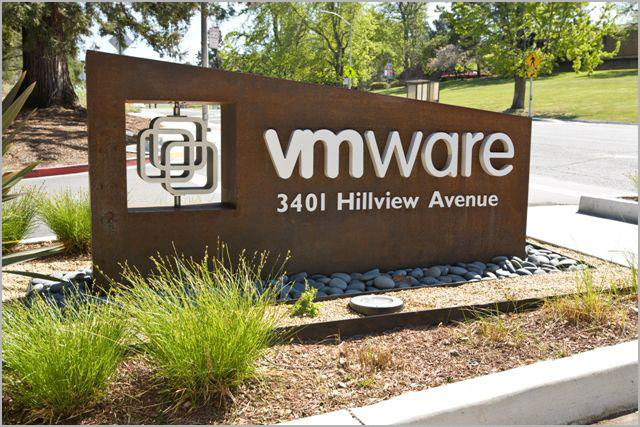 With nearly 100% of the Fortune 100 customers using VMware technologies, the new partnership will help preserve and extend customer investments across thousands of data centres, the firm suggested. “This partnership, an extension of our 14-year plus relationship with IBM, demonstrates a shared vision that will help enterprise customers more quickly and easily embrace the hybrid cloud,” said Pat Gelsinger, VMware’s Chief Executive Officer. “Our customers will be able to efficiently and securely deploy their proven software-defined solutions with sophisticated workload automation to take advantage of the flexibility and cost effectiveness of IBM Cloud,” he said. For the partnership, IBM and VMware jointly designed an architecture and cloud offering that allows businesses to automatically employ pre-configured VMware SDDC (Software Defined Data Centre) environments, consisting of VMware vSphere, NSX and Virtual SAN on IBM Cloud. The SDDC environment allows users to deploy workloads in this hybrid cloud environment without modification due to common security and networking models based on VMware. Via its CloudBuilder tools and workload automation capabilities, IBM will be able to automatically provision pre-configured or custom workloads to the cloud which are validated by VMware’s design patterns for SDDC architectures. Furthermore, VMware has extended the vRealize Automation and vCenter management tools allowing firms to deploy and manage environments on the IBM Cloud “as if they are part of a customer’s local data centre”. Under the agreement, the two companies also will jointly market and sell new offerings for hybrid cloud deployments, including workload migrations, disaster recovery, capacity expansion and data-centre consolidation. IBM and VMware will further provide assistance, solutions and cloud infrastructure to help customers manage and scale their IT resources running in private and public clouds, said VMware. “VMware customers will be able to use a flexible monthly-based consumption pricing model that makes it more cost effective for users by enabling a simple pay-as-you-go option,” the firm added.